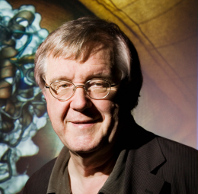 Klaus Schulten was Swanlund Professor of Physics and was affiliated with the Department of Chemistry as well as with the Center for Biophysics and Computational Biology. He received his Ph.D. from Harvard University in 1974. He founded and led the Theoretical and Computational Biophysics Group as well as the NIH Center for Macromolecular Modeling and Bioinformatics, both at the Beckman Institute, for nearly 25 years. He was also co-director of an NSF-funded Physics Frontier Center, the Center for the Physics of Living Cells. He was a leader in the field of biophysics, conducting seminal work in the area of molecular dynamics simulations, illuminating biological processes and structures in ways that weren't possible before. His research focused on the structure and function of supramolecular systems in the living cell, and on the development of non-equilibrium statistical mechanical descriptions and efficient computing tools for structural biology. Honors and awards received by Schulten include: Distinguished Service Award, Biophysical Society (2013); IEEE Computer Society Sidney Fernbach Award (2012); Fellow of the Biophysical Society (2012); Award in Computational Biology (2008); Humboldt Award of the German Humboldt Foundation (2004); Nernst Prize of the Physical Chemistry Society of Germany (1981). 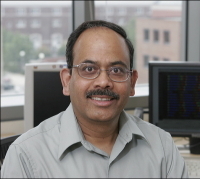 Professor Laxmikant Kale has been working on various aspects of parallel computing, with a focus on enhancing performance and productivity via adaptive runtime systems, and with the belief that only interdisciplinary research involving multiple CSE and other applications can bring back well-honed abstractions into Computer Science that will have a long-term impact on the state-of-art. 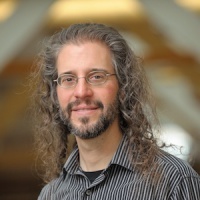 His collaborations include the widely used Gordon-Bell award winning (SC'2002) biomolecular simulation program NAMD, and other collaborations on computational cosmology, quantum chemistry, rocket simulation, space-time meshes, and other unstructured mesh applications. He takes pride in his group's success in distributing and supporting software embodying his research ideas, including Charm++, Adaptive MPI and the ParFUM framework. L. V. Kale received the B.Tech degree in Electronics Engineering from Benares Hindu University, Varanasi, India in 1977, and a M.E. degree in Computer Science from Indian Institute of Science in Bangalore, India, in 1979. He received a Ph.D. in computer science in from State University of New York, Stony Brook, in 1985. He worked as a scientist at the Tata Institute of Fundamental Research from 1979 to 1981. He joined the faculty of the University of Illinois at Urbana-Champaign as an Assistant Professor in 1985, where he is currently employed as a Professor. 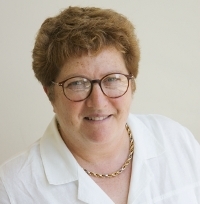 Currently William and Janet Lycan Professor of Chemistry at the University of Illinois at Urbana-Champaign (UIUC), Zaida (Zan) Luthey-Schulten received a B.S. in Chemistry from the University of Southern California in 1969, a M.S. in Chemistry from Harvard University in 1972, and a Ph.D. in Applied Mathematics from Harvard University in 1975. From 1975 to 1980 she was a Research Fellow at the Max-Planck Institute for Biophysical Chemistry in Goettingen, and from 1980 to 1985 a Research Fellow in the Department of Theoretical Physics at the Technical University of Munich. Her research interests, pursued via the Luthey-Schulten Group at the UIUC School of Chemical Sciences, include the evolution of translation, origins of life, physical bioinformatics, predication of protein structure and function with QR profiles, docking with steered molecular dynamics, VMD/Multiple alignment evolutionary analysis tools, and protein folding with a particular interest in hybrid molecular dynamics. 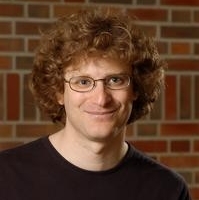 Mike Hallock received his undergraduate degree in Computer Science from the University of Illinois in 2004, and since graduating has worked in the Computer Center of the School of Chemical Sciences as a Research Programmer and supports high-performance computing resources for the departments of Chemistry and Chemical and Biomolecular Engineering. After taking an interest in the research going on in the department, he went in to a graduate program and completed a Masters in Bioinformatics at the University of Illinois in 2014. Mike took an interest in GPU computing and began working with the Luthey-Schulten group on Lattice Microbes, working on further accelerating RDME simulations by combining the computing power of multiple GPUs. He now leads development of Lattice Microbes, helping researchers to build and simulate whole-cell models of growing complexity. Mike is also a co-author of pyLM, the Python problem-solving environment for building cellular models and analyzing simulations. David Hardy has always had a fascination with computing and the logic required to solve problems through programming. Although he is also a trained pianist who began his undergraduate studies in music, his interest in mathematics eventually drew him back to the field of computation. Hardy earned his Ph.D. in computer science in 2006 under the guidance of Prof. Robert Skeel, a former principal investigator of the TCB group. 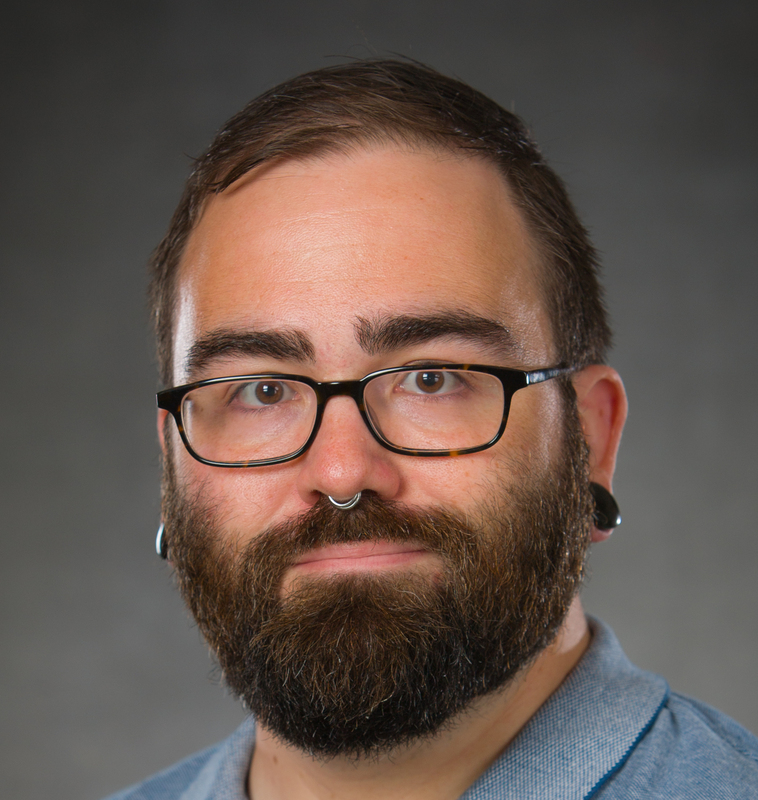 Continuing work as a postdoc, Hardy's software development efforts include authorship of NAMD-Lite, a framework for developing molecular modeling software that was used to complete his Ph.D, and he has also made programming contributions to the TCB group's NAMD and VMD software. 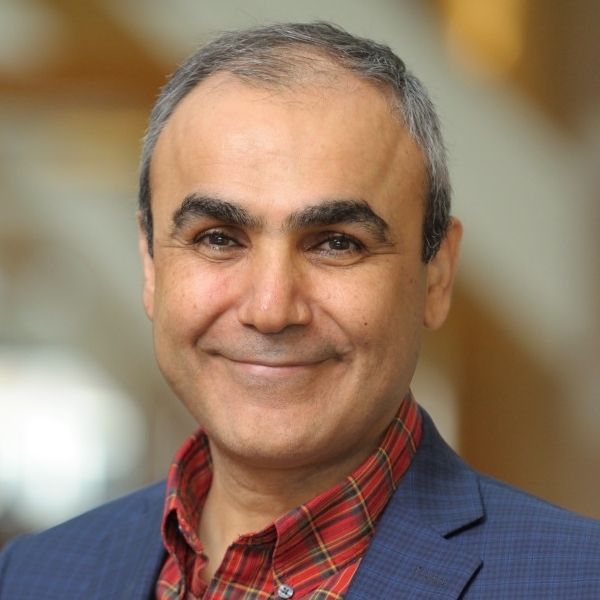 His research efforts include the development of faster methods for molecular dynamics and, more recently, the development of algorithms for the GPU acceleration of molecular modeling applications. Barry Isralewitz comes to software development as a simulation scientist who appreciates the power of a good tool. When he was a biochemistry undergraduate at Cornell University with an interest in programming, he worked on bioinformatics software for automating design and construction of multiple generations of recombinant DNA clones. Isralewitz set to switching fields to biophysics when he encountered computer simulations used to explore protein dynamics, a path which eventually led to graduate work in the TCB group studying large-scale protein motions with molecular dynamics (MD) simulations. In his doctoral work Isralewitz performed some of the earliest Steered Molecular Dynamics simulations, developing simulation protocols and additions to the TCB group's parallel-MD software NAMD needed for his studies, including titin extension and ATP synthase stalk rotation. Along the way to receiving his Ph. D. in 2007, Isralewitz also released software tools for VMD, the TCB group's molecular visualization software. Isralewitz's current software focus is Timeline, an analysis and graphing VMD plug-in for identifying events that take place during large MD simulations. Timeline displays temporally-changing attributes of a molecular structure as a 2-D box-plot linked to 3D structure display, with attribute values for each residue of a modeled system, or for other sets of system elements, plotted against time. Starting from an overview of all events for the entire structure, a user can zoom in to display the details of a few key residues over a brief time span. Once identified, notable events can be further explored with additional analysis methods and — particularly useful during coarse, initial examination of extermely large trajectories — by loading additional structure/trajectory detail around events and involved structures. 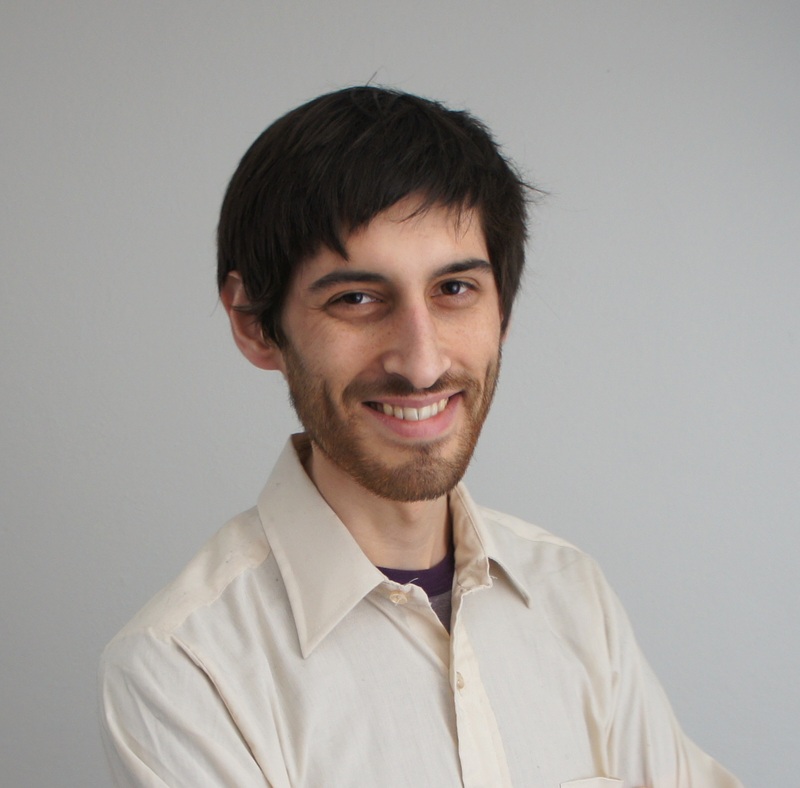 Christopher Maffeo is a post doctoral researcher working with Aleksei Aksimentiev to develop and apply atomistic and coarse-grained simulation techniques to study biomolecular and biotechnological systems. His work has focused on DNA-DNA and DNA-protein interactions, highlighting the importance of the physical properties of DNA in determining its behavior. Christopher recently developed a coarse-grained model of single-stranded DNA interacting with single-stranded DNA binding protein that was capable of quantitatively matching experiment. Now he is actively working to develop features in the Center's software, ARBD, that allow such models to be simulated at scale with high efficiency using GPU accelerators. Trained as a physicist, Jim Phillips has always gravitated towards the computational side of the field. During undergraduate summer internships he learned to program supercomputers and wrote software to visualize global earthquake and tomography data. 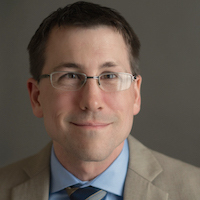 In 1994, Phillips joined the TCB group as a graduate student, attracted by the opportunity to apply physical theory and high-performance computing to the problems of biology. 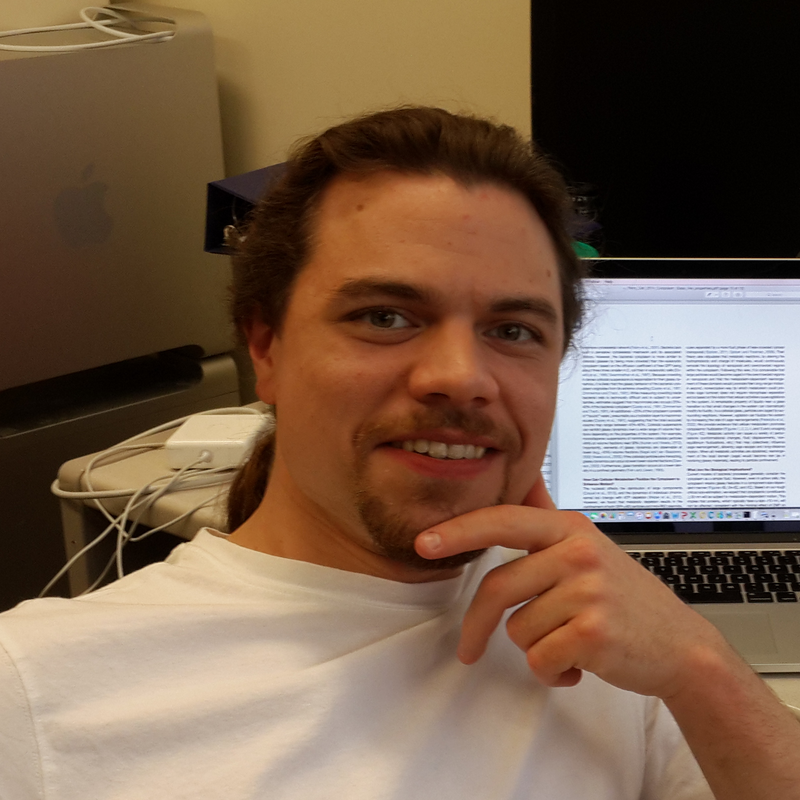 Supported by Hertz and DOE fellowships, Phillips joined the NAMD team and learned the physical theory, numerical methods, parallel programming techniques, and biological applications of molecular dynamics simulation. The group's many experimental collaborations provided a stream of increasingly large simulations that drove the development of NAMD into a flexible, production-quality code. This work earned Phillips not only a Ph.D., but also a 2002 Gordon Bell Award for the parallel scalability of NAMD. 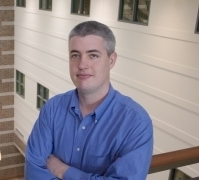 Phillips remains with the group as a Senior Research Programmer, guiding NAMD development for the next generation of supercomputers, including the National Science Foundation's petascale machine to be installed at the University of Illinois. John Stone has always liked a challenge. As a graduate student at the University of Missouri-Rolla, Stone developed ray tracing software on a wide variety of parallel computers. Early on, he collaborated with a fellow graduate student researching hypersonic air flow through jet engines by incorporating his graphics software into a computational fluid dynamics simulation code. For the first time, this allowed his colleague to perform in-place visualizations on the same parallel computer running the simulations, generating images of ongoing simulations in seconds rather than days. A decade later, Stone is still helping scientists uncover nature's mysteries. As Senior Research Programmer for TCB's Visual Molecular Dynamics (VMD) program, Stone develops state-of-the-art software that helps scientists visualize the structure and dynamics of large biomolecular complexes. Stone's parallel rendering system, Tachyon, is now used to render high quality images and movies within VMD, and is now part of the SPEC MPI2007 benchmark suite. Rafael C. Bernardi concluded his PhD in Biophysics, in 2010, at the Carlos Chagas Filho Institute of Biophysics at Federal University of Rio de Janeiro (Brazil), advised by Prof. Pedro G. Pascutti. With a major in Physics (2005) and a Master degree also in Physics (2007), Rafael did an internship in 2008, during his PhD studies, at the University of Pennsylvania, in the Center for Molecular Modeling, working with Prof. Michael L. Klein and Prof. Werner Treptow. During his PhD, Rafael worked mainly with molecular dynamics studies of anesthetics and their effect in both biological membranes and the TREK-1 potassium channel. This work awarded him the Best Thesis Award in Biophysics and Biotechnology in 2010 by the Secretariat of Strategic Affair of the Brazilian Presidency. He is also a collaborator in several studies simulating biological membranes, and was responsible for the first QM/MM dynamics of lipid membranes in which some lipids were studied in the DFT level. 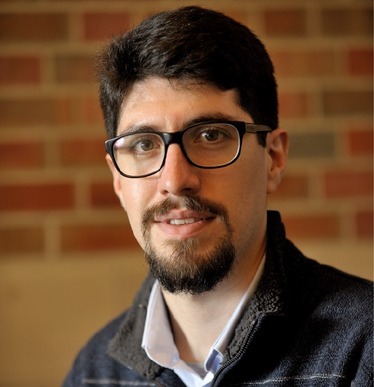 For the last couple of years, Rafael has been working with molecular modeling of cellulose, cellulases and cellulosomes, first at INMETRO (Brazil), in a group that aims to develop a new second-generation biofuel, and more recently, at TCBG. Marian Breuer earned his B.Sc. in Chemistry from Jacobs University Bremen, Germany (2010) and his Ph.D. in Physics from University College London, UK, in the group of Prof. Jochen Blumberger (2015). During his Ph.D., he used classical molecular dynamics in combination with density functional theory to study the thermodynamics and kinetics of electron transfer (ET) through multi-heme proteins, discovering how electronic interactions can offset unfavorable thermodynamics of ET. He joined the lab of Prof. Luthey-Schulten in 2015 as a postdoctoral fellow in the Center for the Physics of Living Cells, moving to the modeling of whole-cell behavior. His current work is focused on modeling the genome-scale metabolic network in a minimal cell. 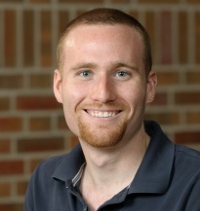 Tyler Earnest, a postdoctoral researcher through the National Center for Supercomputing Applications, received his Bachelor's Degrees in Chemistry and Physics from the South Dakota School of Mines and Technology in 2008, and obtained a Ph.D in Physics at the University of Illinois at Urbana-Champaign working under Zan Luthey-Schulten in 2016. 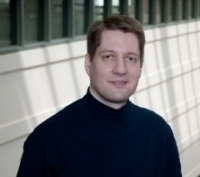 His research focuses on the development and application of software to study whole organisms at the single cell level using stochastic, spatially resolved computer simulations. Earnest is a lead developer of Lattice Microbes: a GPU accelerated simulation code which includes highly efficient methods to sample trajectories from the solution to both the chemical master equation, as well as the reaction-diffusion master equation. His primary research interest is building detailed kinetic models of cellular processes which approach the genome scale. João Ribeiro received his diploma degree in Bioinformatics in 2009 from the Faculty of Biotechnology, Portuguese Catholic University, and his Ph.D. in Sustainable Chemistry in 2014 from Faculty of Science, Faculty of Pharmacy and Institute of Biomedical Sciences Abel Salazar of University of Porto in association with the Nova Lisboa University, advised by Prof. Maria J. Ramos. During his Bioinformatics degree, he had the opportunity to combine Biology and Biochemistry with software development to produce user-friendly Bioinformatics tools. The pursuit for the integration of Biochemistry with software development followed João to his Ph.D studies, where he developed third-party tools (plugins) for the widely used molecular visualization program VMD, developed by Klaus Schulten's Theoretical and Computational Biophysics Group. These plugins aimed to assist non-expert users of computational Chemistry software at different stages of the computer-aided drug design process, such as molecular docking, protein mutagenesis and molecular dynamics simulation analysis. 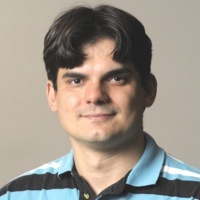 João joined the TCB group in 2014 to employ molecular dynamics simulation to study the cellulose degradation process for biofuel production while keeping the software development always present in his work. He is currently the main developer of the newest VMD plugin to assist MD novice users in the preparation, execution and analysis of MD simulations, QwikMD. This plugin smooths the initial learning curve imposed by the MD programs and allows more advanced users to speed-up tedious structure preparation procedures. Contact Us // Material on this page is copyrighted; contact Webmaster for more information. // Document last modified on 14 Nov 2016 // 24434 accesses since 04 Nov 2008 .